HomeCompetitionEnvironmentGadgetsGreen ProductsRenewable energySolar energyWelfareARED and EarthEnable from Rwandan among Five Finalists in a Race to Win a Prize of 500,000 Euros! ARED and EarthEnable from Rwandan among Five Finalists in a Race to Win a Prize of 500,000 Euros! One of the world’s largest annual competitions for sustainable entrepreneurship - The Postcode Lottery Green Challenge is active in The Netherlands, Sweden, the UK, and Germany. It inspires new start-ups especially based on clean technology, which are creative and innovative business products and services that contribute to a low carbon foot-print and reduce the greenhouse gas emissions. Each year, the winner gets €500,000 to further develop their green products or services and help them to bring it to market within the next two year; the runner-up also receives €200,000. Winners from previous editions have successfully developed their innovative products thanks to the publicity and network of the Postcode Lottery Green Challenge. This year, five finalists including two Rwandan start-ups ARED and EarthEnable, Lightyear from the Netherlands, Glowee from the France, Pond - a biotech company from Denmark are in the race to win the grand prize of 500,000 euro in cash. The winner will be announced during the final on 14th September this year in Amsterdam. Lightyear, a start-up works on a fully solar-powered car and it could be the breakthrough for electric driving worldwide, while Glowee from the France has created a biological source of light, using natural properties of marine micro-organisms. A start-up in Denmark, Pond is specialized in transforming products into full bio based and biodegradable solutions. Existing composite processing can be applied which allows painless substitution of conventional resins. Rwanda where access to the Internet has increased the most over the last ten years: 12% of inhabitants are connected. The entrepreneur benefited from the rapid acceleration of access to the mobile phones of the population. 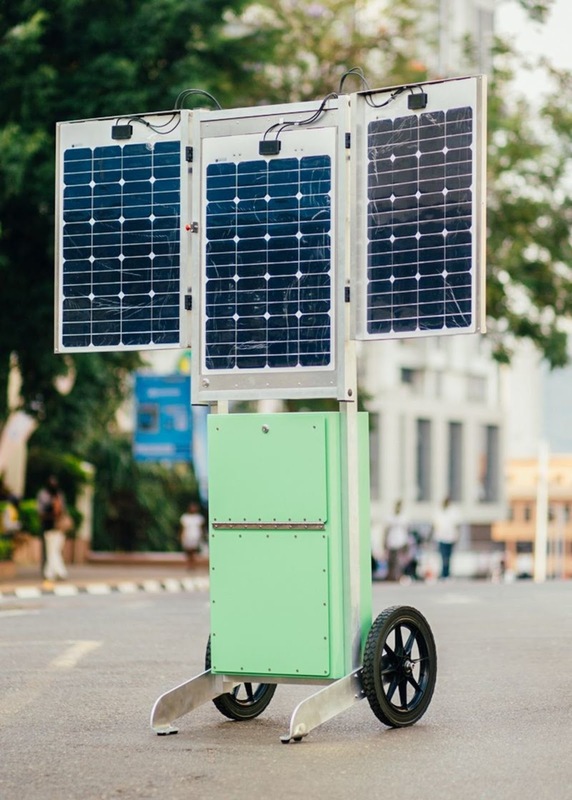 A Rwandan start-up ARED has developed the Shiriki Hub, a mobile kiosk with solar panels, a Wi-Fi router and mobile phone charging stations. Today, it has thirty-five kiosks in six districts of the country. In Kigali, the capital, nearly 80% of the population owns one. "I wanted to work in the energy field. But the market for solar panels was too competitive and demanded too much. So I decided to take care of the people who have low incomes because no one is interested in them. I got the idea by strolling around an airport. I thought it would be great to have him on the street,” says Henry Nyakarundi (40), the creator of portable ARED solar-powered kiosk. 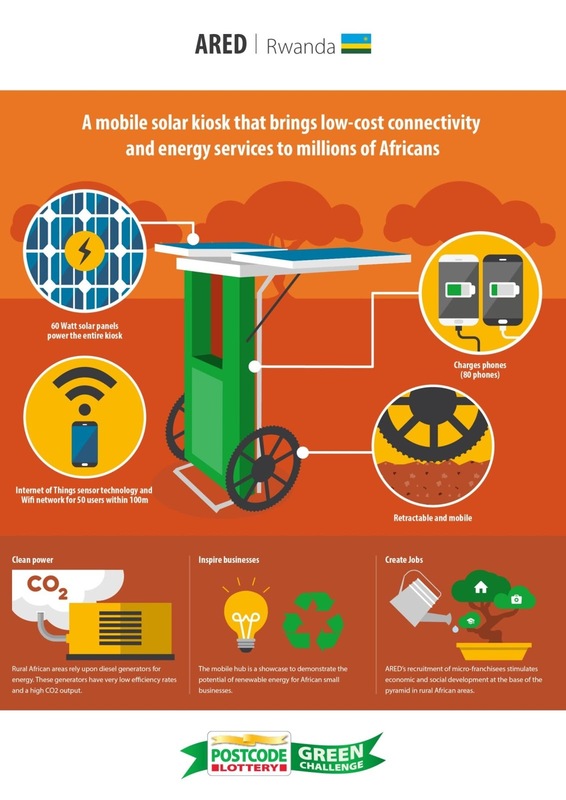 With the African energy consumption expected to have tripled by 2030, this technology can be a huge step forward to bring low-cost connectivity and energy services to millions of Africans. 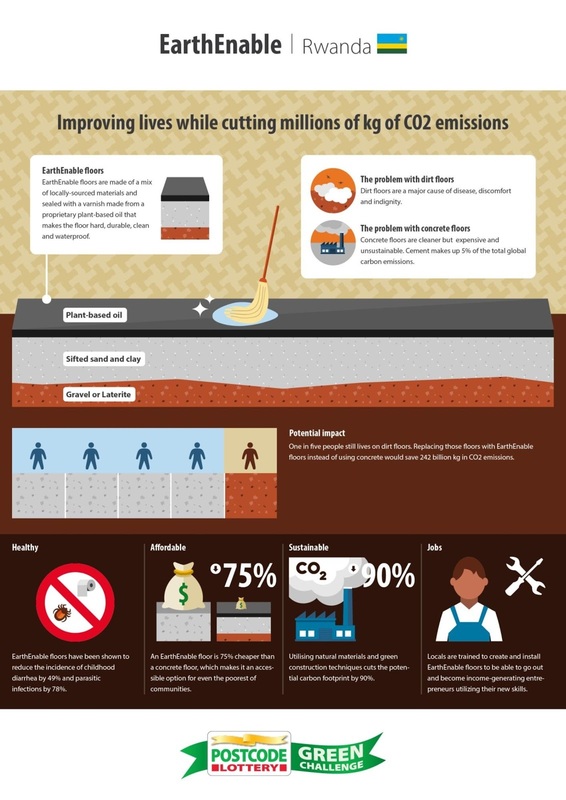 EarthEnable offers a sustainable and inexpensive solution for cement floors, which are very CO2-intensive. 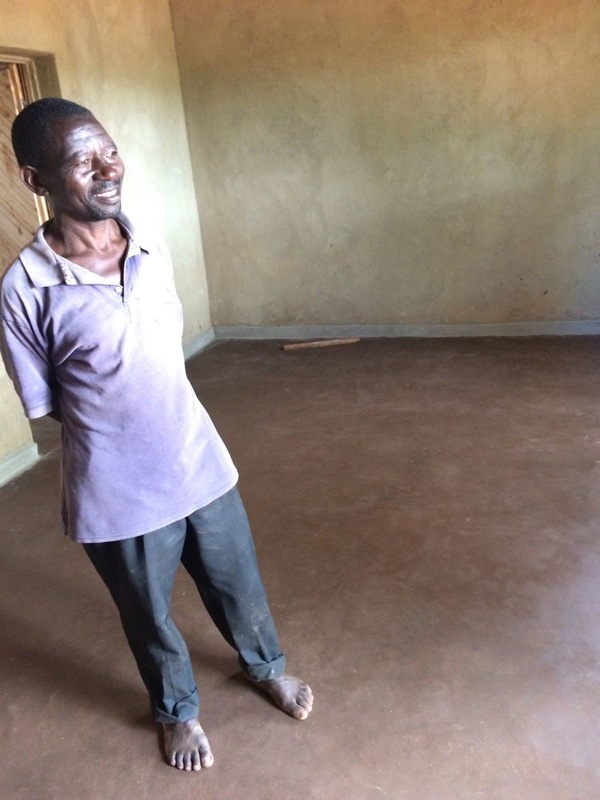 It’s an affordable alternative for the cement to replace dirt floors which are a major cause of disease, discomfort, and indignity. Gayatri Datar (31) co-founders: "Being among the last five out of 515 entries is already a great achievement and honor. With the prize money, we plan to scale within Rwanda and likely in three other countries. The prize money gives us the opportunity to test different scaling models to find a viable scale strategy to improve the health and lives of millions of people who are still living on dirt floors," reports PRNewswire. The floor is composed of natural materials (gravel, clay, sand, and other additives) and sealed with a layer of proprietary drying oil that makes the floor impermeable, easy to clean, and polished. An eco-friendly and easy solution for dirty floors! According to the company, while a clean and dry floor made of concrete would cost a Rwandan family as much as $300 for a 20 square meter home, EarthEnable will floor a home for 15% of the price.